I haven't seen the adults feeding for a few days. They don't need to visit so often now. A pigeon carcass can provide a good feed for all. 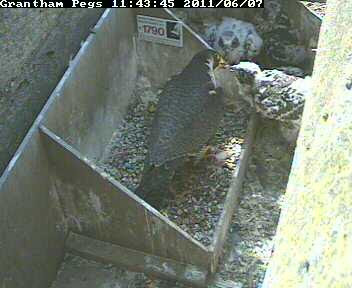 So I was pleased to see the female busy today at lunchtime.